This week’s entry from the Bad at Sports archives is Richard Holland’s interview with Hardy Fox of the Cryptic Corporation, who acts as the agent of The Residents, an American art collective best known for avant-garde music and multimedia works. â€œThe definition of a band is generally thought of as a guitar player meets a drummer and they decide togetherâ€¦and gradually form a band. In this situation you have idea people who are not interested in one form of media over another. They’re more interested in whatâ€™s possible, idea wise, and to create projects. Itâ€™s a band not of musicians, itâ€™s a band of idea people, and certainly one of the things they do is music, and theyâ€™ve always had the point of view that if the project calls for a band theyâ€™ll be a band, but they are still not a band in the traditional sense. They like to be thought of as a group….Â The way itâ€™s defined is that anyone who works on a project is a Resident. If thereâ€™s a tour and thereâ€™s a bus driver on the tour, then the bus driver is a Resident. 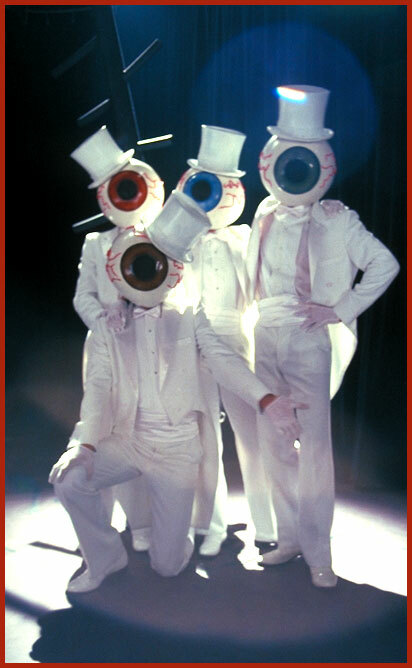 Theyâ€™re residents of that project….Â The Residents like to stay fresh, they have to take each project as a whole new fresh project every time and a reinvention not only of who they are but of what is possible.â€–Hardy Fox, Cryptic Corporation, agent of The Residents.